Since the early 1990s Paddle Manitoba has been hosting an open paddle at La Barriere park from May through September. I have been organizing these evenings since 2000. The park is located 5km south of Winnipeg on Waverly Street along the La Salle River. The outings are recreational and provide an opportunity for Paddle Manitoba members and the public to get out for an evening paddle. I am willing to spend time with participants to teach some basic skills or hone paddling technique. If you want to take a canoeing course but are not sure of your skill level let me know prior to the paddle and I can do an assessment of your skills. During the two hour paddle you can paddle as far along the river as you feel comfortable. Two canoeists with moderate skill and fitness can paddle to the bridge at River Oaks Golf Course and back for a round trip of 9km. Many people come out to enjoy the evening and look for the Great Blue Heron, beaver or deer and go no more than the distance to the walking bridge (about 1km round trip). Paddles run from 6:30-8:30pm in May, August, and September. During June and July the start time changes to 7:00pm. Unfortunately due to a rash of theft and vandalism Paddle Manitoba is not able to provide equipment in 2014. Paddle Manitoba is working to arrange more secure storage facilities and may be able to offer equipment again in the near future. Everyone must sign a waiver prior to the start of any event. All participants must wear a properly fitting PFD during the paddle. Regarding paddles at other times: There may be periodic outings throughout the summer. Watch the Paddle Manitoba website event calendar to see if any are posted (http://www.paddle.mb.ca/calendar.php) or Facebook Page. OK I give up! Where is Winnipeg? I am willing to run small Paddle Canada Style, Basic, and Lake Canoe courses over the summer months at a mutually convenient location and price. Contact me at the email address at the bottom of the page. All courses follow the Paddle Canada (formerly CRCA) program. Paddle Manitoba runs introductory through advanced tandem and solo canoeing courses La Barriere park. More information can be found on the Paddle Manitoba instruction page. Manitoba Pioneer Camp has run more advanced canoe courses, including instructor certification, for many years in the spring (see: Canoe School and other courses). . The following are for personal use and may not contain all of the course requirements or complete information. General Lake Resource Manual Replaces Solo and Tandem Course and Resource manuals below. Sample Lesson Plans (these come out of the above two videos). Sample Lesson Plan (video) on paper a video run through of the above lesson plan. The following are deprecated and removed from the system - the resource section has been replaced by the general manual above. Individual course activity sections will be separated into additional documents as required. Intermediate and Advanced Lake Tandem Course and resource material. This document does not have current Paddle Canada standards - based on version 5, May 2012 requirements. Combined Solo and Tandem, Intermediate to Advanced Skills - based on v6, 2013 manual. General Information Handout (PDF Format) Partially adapted from Transport Canada: Minimum Safety Equipment: Human-powered pleasure craft (including canoes, kayaks, rowboats and rowing shells), Safe Boating Guide, and Small Vessel Regulation. Small Vessel Regulations - Part 2 Safety Equipment for Pleasure Craft, Subpart 2 Human-Powered Pleasure Craft. If you are a guide, instructor, or other leader you should review Part 3 Human-Powered Vessels Other Than Pleasure Craft. Contraventions Act Regulations This is were you find the fines under SCHEDULE I.1, CANADA SHIPPING ACT, PART II, Small Vessel Regulations. Remember to check for ammendments in the Gazette. There are also other acts and regulations that set out fines and penalties that may be associated with the Canadian Shipping Act - Examples include: Administrative Monetary Penalties Regulations, Collision Regulations, Charts & Nautical Publications Regulations, Contraventions Act, and Criminal Code of Canada. Subject: Differentiation between "pleasure vessel" and other vessels. My interpritation of the current Canada Shipping Act (up to Dec 2010) anyone paddling a canoe can not be a passanger. The above bulletin would still apply but see small vessel regulation since guided excursions (section 303) and human-powered passenger-carrying vessels (section 306) have been explicitly identified. I believe the best way to learn something is through a little education and a lot of practice. The following links may provide some helpful information on paddling techniques. Now stop reading this dribble; go and paddle! Biting Flies in Manitoba. OK it doesn't really belong here but they do drive us to distraction when paddling (esp portaging). Wild Grapes - just some info It also doesn't belong here but it was for the Ripple. 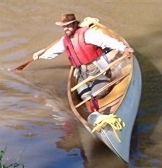 John Winters - Technical Articles on Canoe and Kayak design, terminology, resistance measures. Hearts and Minds - some technical explanations for lay-person on paddlesports (pivots, energy/momentum). The following are some references that I have used in the past for learning canoe skills. Although all of these books provide some suggestions and tips on technique and skills the best way to learn is actually getting into a canoe and paddling - take a course, go to an open paddle, paddle with someone 'in the know', read & try. Out of the list below my preference is Path of the Paddle by Bill Mason. American Canoe Association, The Beginners Guide to Canoe & Kayak Paddling PaddleDog Nation, 2006. PDF copy found here Oct 2018 The American Canoe Association Beginners Guide is also available with similar information dated 2009. Iowa Department of Natural Resources. An Introduction to Canoeing/Kayaking, A Teaching Module. Iowa Department of Natural Resources. 2008. Goodwin, Ray. Canoeing Pesda Press, 2011. Before you go romping off into the wilderness make sure you are prepared and have a realistic idea of your limitations and skills. The following resources are just starting points I would expect you to pickup appropriate topographic maps, suitable equipment, local knowledge, etc... Several of the books are out of print but you may be able to find them from local libraries or used book stores. A few of the suggested routes or locations are based on old (possibly out dated) information. Some of these resources are also included for neighbouring provincial or state regions. This is not an exhaustive list of sources; it was developed for personal information and interest. Beymer, Robert. A Paddler's Guide to Quetico Provincial Park. W.A. Fisher Co. 2001. Greenstone Community Futures Development Corporation. Canoeing The Precambrian Edge; Wilderness, Adventure and Legend. Gordon Soules Book Publishers ltd., 1998. Manitoba Conservation provincial park maps see electronic copies below. Ontario Ministry of Natural Resoruces. Canoe Routes of Ontario. McClelland and Stewart Ltd. 1981. Paddle Manitoba. Canoeing in South Eastern Manitoba. Paddle Manitoba (MRCA), 2010. Wilson, Hap. Lake Superior to Manitoba by Canoe Fire Fly Books, 2017. Canadian Canoe Routes. Manitoba Canoeing Regions. CCR Inc. 2007-2009. NOTE: Limited selection see the CCR Manitoba forum for additional route/resources information. Canadian Canoe Routes. North Western Ontario Canoe Routes from Ontario Canoeing Regions. CCR Inc. 2007-2009. Canadian Canoe Routes. Saskatchewan Canoeing Regions CCR Inc. 2007-2009. Note: Limited selection see Sask. gov. site below. Canoe Saskatchewan. Routes and Trips 2011. Canoeing.com. Woodland Caribou Provincial Park, 2015. Manitoba Conservation. Parks and Natural Areas, Outdoor Recreation Canoeing. Manitoba Conservation, 2010. Manitoba Conservation. Atikaki Provincial Wilderness Park. Manitoba Conservation, 2001. Manitoba Conservation. Duck Mountain Provincial Park. Manitoba Conservation. Manitoba Conservation. Grass River Provincial Park Manitoba Conservation, 2002. Manitoba Conservation. Nopiming Provincial Park. Manitoba Conservation, 2001. Manitoba Conservation. Paint Lake Provincial Park. Manitoba Conservation, 2001. Manitoba Conservation. Whiteshell Provincial Park. Manitoba Conservation, 2002. 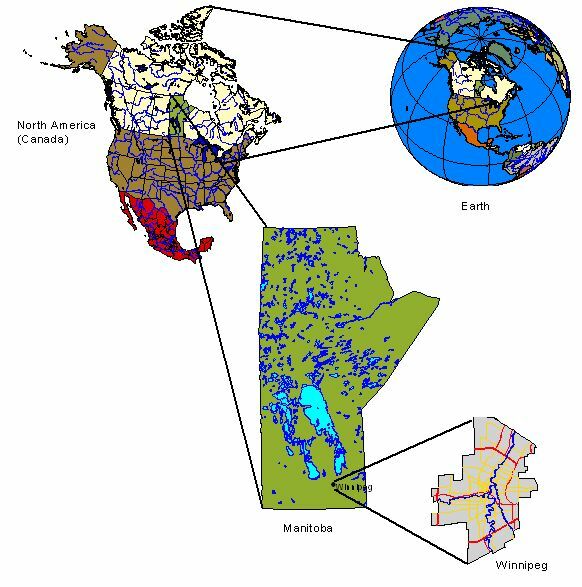 Manitoba Eco-Network. Manigotagan River. Manitoba Eco-Netowrk, 2008. Natural Resources Canada. The Atlas of Canada - Toporama - Topographic Maps Natural Resources Canada, 2010. Note: This site does not contain routes but it is a source for topographic information. Natural Resources Canada. GeoGratis Natural Resources Canada, 2010. Geospatial data available online at no cost and without restrictions, including Topgraphic map sheets in PFD and TIF format. Use CanTopo or CanVec depending on needs. This site does not contain routes but it is an excellent source for topographic map information. North Dakota Parks and Recreation, Canoeing in North Dakota, 2015. Paddle Manitoba. Paddle Manitoba Resources, Routes Paddle Manitoba (MRCA). An original archive of the MRCA routes page is still available. Paddle Manitoba Routes Forum. Paddle Manitoba. 2009. Path of the Paddle Association Trails. 2015. Storie, Ken. River Journeys in Southwestern Manitoba Self Published, 2009. Travel Manitoba 2011 Outdoor Adventure Guide, 2011. True_North's Rablin' boy. Canoeing The Bloodvein River Ramblin' boy, True_north's blog of trails travelled and rivers paddled. Aug 24, 2014. Wilderness SupplyWinnipeg Assiniboine River Canoe Route Map and Guide, 2015. On related pages there are a number of other trips etc... Look under Resources to the right. I was not sure where to put this one but see the Historical Canoe Route Maps from Canada Map Sales (Real Berard's hand-drawn canoe route maps). Routes listed as of Sept 2009: Assiniboine, Grass River, Kautunigan, Land of Little Sticks, Little Grand Rapids, Mistik Creek, Bird-Manigotagan, Riviere aux Rats, Sasaginnigak, Middle Track & Hayes, Waterhen, Whitemouth, Winnipeg River. If you want to buy or rent canoe equipment in Winnipeg these are the places I recommend. There are other places, some are probably great, but I have not rented or bought at other places that I would recommend. Remember to do a little homework first, before you buy - try. All of these stores have options for trying out equipment and the staff, who actually use the equipment, provide excellent advice. Winnipeg Canoe Rentals (Heartland Archery). Environment Canada in-conjunction with the Water Survey of Canada provides Water Station Levels Across Canada. Manitoba Water Stewardship also provides weekly information through their River Conditions page (note the link changes regularly ☹ ). The City of Winnipeg posts water levels regulary for several sites within Winnipeg. This page provides a few common bench marks as well. Water levels from Environment Canada Hydrometric Data page that I find helpful. These are just a guide and should be checked for your own use ahead of time. Remember the difference of a few centimeters can be quite significant. Assiniboine River at Headingley ~231.55 - good flow for easy playing (Moray St., Assiniboine Park, Kenaston - Omand Park) and getting past Assiniboine park with out hitting bottom. Just around 231.4-231.5 is good for moving water practice near Kenaston-Omand Park but little low for other parts. The maximum level for poling at Assinniboine park and west ~231.46. This is a little deep further west but right at the bridge to the swifts (just west) is OK.
Roseau River between hwy 59 and 218 (Dominion City station) 242.5 - this is good flow with some rapids not too high and not boney. I recently had a report that 241.6 is a good level so I guess between these marks should be fine. Check for 293.3 at Garenton (or higher). this measure goes with 241.6. I spent the day on the Roseau River poling at 240.4 - this was about right. Any lower would have been scraping more, any higher I would have pulled out the paddle between rapids. Pembina River at hwy 201 (near Windygates, or Pembina Valley prov park) a level of 337.220 (discharge 10.8m^3/s) is great for poling. It could be a little lower, but not too much. This is equiv to 392.78 at La Riviere. You can also check the North Dakota USGS Canoeing page for the Pembina River. They recommend at least 910cfs for canoeing at Walhalla this equates (roughly) to 337.6m at Windygates. The ND site recently was updated to indicate that canoeing at a level of 350cfs is possible. I would recommend paddling starting at La Riviere rather than starting 201 or 31 because of the current and distance to the US border. Note: if heading down stream from 201 you only have ~8km to the US border, there is no convenient egress so you have to paddle/pole back. Souris River at Wawanesa with level of 148.150 is good for poling. Much lower and there are sandbars, much higher and it will be too deep in several places. Even at this level there are a number of places that are too deep to pole and paddling becomes easier. Head upstream from #2 near Wawanesa or upstream from Mckellar bridge (on 346). 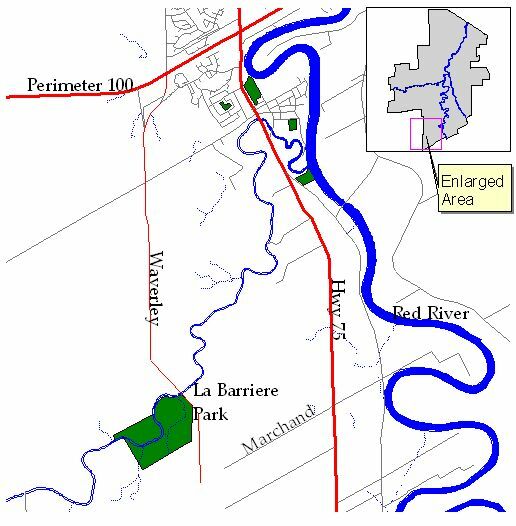 The bridge at La Barriere park is just under water on the La Salle River when the Red River at St. James Street Station is 226.7 (16.2 feet) or Below Floodway Control Structure is 228.2. At 224.7 (juste below the Floodway Control Structure) the La Salle can still just be paddled below the dam. It might be tricky close to La Barrrier as the river really does not backup that far from the Red. Red River at St. James Street Station 224. This level means I can use my usual launching pad in Winnipeg without getting muddy ☺. Whitemouth River (Dawson Rd to TC). I travel this section fairly often and usually check with the campground regarding levels (level 0.7-2 poling, 1+ canoeing). Alternatively look at Whitemouth River at Whitemouth for levels of 267.98 (3.0m3/s) or greater (268.2 corresponds to level 3 - limit for poling, but good for canoeing). There are a few places that might require a wade at level 1. I will pole upstream at this level 1. There is a small charge if you leave your car at the campground, you may be able to arrage a shuttle (to Dawson Rd crossing) for a small cost as well. Birch River (near Prawda). The water level at 98.12 (discharge 4.4) is good for paddling with the current and poling in both directions. It can be a little lower but not much. The water can be deeper without a problem (with the current) but poling may become an issue. I don't know what the zero level is for 98 but it is also provisional so don't count on it too much. The level I used was July 31, 2016. Netley Creek. Upstream from Hwy 9 (park at the Mallard Duck) is possible but there are a number riffle structures through the golf course. There is a water level meter at hwy 8, when it was 224.23 there was wading through the golf course. When the level reads 226.5 a down stream run should be OK. The size and flow are similar to Seine (inside Winnipeg); is the potential for a downed trees across and lots of beaver dams. There was surprisingly few downed trees/deadheads, I am wondering if there is snowmobiling in the winter and the creek is cleared (for safety) - snowman doesn't list. Downstream from hwy 9 to the Red is wide and open. Brokenhead River (Green Bay Rd - where 45E crosses this is where the guage is located as well) is OK but shallow for poling at 228.42 (try 228.6). I you would want it a little deeper for continuous paddling, headed down stream would be OK. Heading north near Norse 228.9 is nice for paddling but just right for Poling practice at the C1 rapids and swifts (no ledges thought). Starting at 435 the level is fine at this level at least through 82N (a fine day paddle). Cooks Creek is quite a nice paddle from Hwy 44 to the East Selkirk Fire Station. Based on paddling July 17 and July 30, 2016. July 17 was difficult to paddle against, but possible, downstream was no problem except for some strainers. The meter reading below the diversion was 1.4m with a discharge around 1.5m3/s (see video https://www.youtube.com/watch?v=ojylTeDCndU). July 30 was too low (0.9) but still fun - there was about 10 places where wading was required. My suggestion would be above 1.2m (0.8m3/s) and stopping around 2m as some bridges and other things might become an issue. Check what it looks like just downstream of hwy 59 for an idea of the overall level since this was the longest typical wade. Boyne River (near Carmen) is quite a nice paddle. There is a riffle structure just east of town (49.509134, -97.956687), a dam on the west side (at the golf course), and a large riffle structure right in the midde (just east of Main st or hwy 12). The riffle in the middle is more like a low head dam and is difficult to spot from above. Water levels measured at the Boyne River near Carmen (253.4m, 9.4m^3/s discharge), or Boyne River neare Roseisle (1.32, 4.8m^3/s discharge). The Carmen station is down stream of the riffle structure so upstream may be better over the summer. The water level was good for paddling and I expect almost 50cm lower would still be fine as most of of the day I couldn't touch bottom with my paddle. You can put in your canoe near the east riffle structure - although the bridge is out, and just off 4th st SW (north east side of foot bridge). Access points that I have used: Riffle Structure (49.509134, -97.956687)), Bridge east of Carmen (49.505957, -97.978986), Bridge south of Graysville (49.501783, -98.160130), There is a pedestrian bridge at 49.501525, -98.006690 (off of 4th st sw) that has a walk down to the river. Seine River, near La Broquerie, I accessed from 34N but there are a number of access points. The water level at Sainte Anne was 253.48 which was a good level for paddling. Much deeper it would be difficult to go against the current, I figure 25-30cm lower would still be OK. I expect the river in Sainte Anne or La Broquerie would be fine at this level. The river is narrow with periodic sweepers. Dropping in at St. Raymonds just south of Ste. Anne is possible but there are swifts just up (and down) stream of the bridge that would require poling. The next bridge to the south provides access and no swifts (up stream). Seine River (inside Winnipeg). There is no water gauge inside the floodway which makes things a little difficult as the siphon under the floodway has an upper flow rate. The closest meter is at Prairie Grove, outside of the floodway. A level of 1.3m should be enough for most paddling, although a few spots with cement/rebar/rip-rap may be problematic along with riffle structures. Even lower than this the sections south of John Bruce, and RoyalWood bridge may be deep enough for some distance. The Cypress River is often dry through the summer so I watched the hydrometric station near Bruxelles took a guess based on prior years and summer time levels. It seemed that 100.5-100.8 (discharge of 2-4m3/s) would probably work. April 13, 2019 the levels were right at 100.8 so I took a chance. I poled and paddled upstream from the egress point north of Holland for a couple of hours. I ran into several barb wire fences and decided to call it a day. My guess appeared to be good, I expect a little higher would be fine for coming downstream, it was just on the top end for poling. The station is a long way upstream so some interpretation will be required. Lake of the Woods Control Board provides water level data, updated each workday, for the Winnipeg River drainage basin. 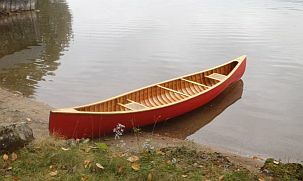 There is nothing that is so aesthetically pleasing and yet so functional and versatile as the canoe. I learned how to hold a paddle at a young age while visiting my grandparents' cabin in the woods of Meadow Lake provincial park, Saskatchewan. Although I do not remember when I first paddled a canoe my passion was well developed as young teenager when I spent most of my small income from papers and camp honoraria on a paddle, PFD, and canoe. During a time when my friends spent most of their money on cars and drink I continued to feed my addiction with canoeing. Through the late 1970s and early 80s I was well known as "Mr. Canoehead" in southern Winnipeg -- regularly making the 1.5km hike down to the river to paddle. This tradition continues to this day though the hike the trusty aluminum canoe has been replaced, usually, with a Kevlar model. I regularly took, and lead, trips through eastern Manitoba and NW Ontario during this time. Through the mid-1980s to 1990s I worked as a biologist in central Manitoba allowing me to paddle the rivers and lakes around The Pas and Flin Flon. My work also took me into Ontario rivers and lakes near Timmins. All of that is great but what does that mean about my ability to teach people anything about this recreational activity? My first formal canoe training happened at YMCA Camp Stephens as a camper and leader. I went through the early CRCA (Canadian Recreational Canoeing Association) paddling program in the mid-1970s. I taught canoeing and wilderness awareness for a City of Winnipeg camp in the late 1970s and early 80s. I received my Red Cross Small Craft Safety instructor certification in 1982. In 1999 I received my CRCA Flatwater instructor certification, Lake instructor in 2008, and Canoe Poling instructor 2014. Over 2010/11 I developed the Paddle Canada Style Canoeing program. I am a Paddle Canada Advanced Lake and Style Canoe Instructor Trainer, Intermediate Poling Instructor. Mostly I just like to paddle. and draws me back each year. every fall it draws a tear. each spring and summer day. in such a wondrous way. across the lake each fall. this I tell to all. your life will be complete. will keep your soul replete.